Improvements that may reduce your flood insurance premium. Whether you are confused about coverage or FEMA regulations/requirements, in just one free session, professionals can offer you the guidance you need with on the spot mitigation reporting and Flood Insurance Premium information. With the recent outbreak of measles occurring in the United States, New Jersey residents may be notified by public health authorities, or their healthcare provider, that they have unknowingly been exposed to a case of measles or suspected measles. We understand that you may have questions or concerns. The purpose of this document is to help explain what is considered an exposure and what you need to do if you have been told that you have been exposed to measles. Learn more about measles and the Vaccine Preventable Disease Program by reading the public guidance document. ​The Public Information Center will be held on Thursday, December 15, 2016 at Ship Bottom Borough Hall, 1621 Long Beach Boulevard, Ship Bottom from 2 - 4 pm and at Stafford Township Municipal Building, 260 East Bay Avenue, Manahawkin from 6 - 8 pm. A brief presentation will be given at 2:30 pm and at 6:30 pm, respectively. ​Please plan to attend at a time that is convenient for you. The meeting will provide an opportunity to view information on the design plans and construction staging. NJDOT staff will be on hand to answer any questions. Property owners of rental units are advised that tenants are also invited and encouraged to participate. East and Westbound Route 72 traffic will be reduced to one lane in each direction and shifted to the Southside of both the East and West Thorofare Bridges. 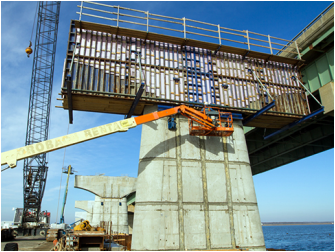 The single lane pattern will start just West of the West Thorofare Bridge and conclude just East of East Thorofare Bridge on Long Beach Island. Over the bridges, the Westbound lane will be 11.0’ wide while the Eastbound lane will be maintained at 13’-6” to allow for oversize vehicles traveling through the work zone. Additionally, Circle Drive will be closed daily M-F during work hours starting September 16th, and closed permanently starting October 12th and reopened no later than May 15, 2016. The Federal Emergency Management Agency (FEMA) is reminding National Flood Insurance Program (NFIP) policyholders who filed a claim as a result of Hurricane Sandy that there are four weeks remaining to request a review if they believe their claims were underpaid for any reason. FEMA set a Oct. 15, 2015 deadline for policyholders to request a review. FEMA sent letters to approximately 142,000 NFIP policyholders who filed claims resulting from Hurricane Sandy, offering them an opportunity to have their files reviewed. To date, more than 10,000 policyholders have entered the process. Additional payments will be made to policyholders when warranted. To be eligible for the review, policyholders must have experienced flood damage between Oct. 27, 2012 and Nov. 6, 2012 as a result of Hurricane Sandy. Policyholders can call the NFIP’s Hurricane Sandy claims center at 866-337-4262 to request a review. Still need assistance to recover from Sandy? Housing assistance may be available for you. This program offers free HUD-certified housing counseling services to renters and homeowners who were impacted by Superstorm Sandy and lived in one of the nine counties most impacted by the storm at the time of Sandy. Offices are located in Atlantic, Bergen, Cape May, Essex, Hudson, Middlesex, Monmouth, Ocean, and Union counties and provide counseling programs that address a wide range of financial and housing challenges. The New Jersey Department of Transportation (NJDOT), is committed to developing transportation improvements that best balance transportation needs, the environment, community concerns and cost, will hold a Public Information Center to inform local residents and businesses of the staging and improvements in connection with the Rehabilitation of East and West Bridge Thorofares and Environmental Mitigation's as additional construction contracts for the Route 72 Manahawkin Bay Bridges Project in Stafford Township and the Borough of Ship Bottom, Ocean County. You are encouraged to actively participate by providing comments at the meeting, by mail or by e-mail. The Public Information Center Meetings will be held on Monday, February 9, 2015 in the afternoon at Ship Bottom Borough Hall, 1621 Long Beach Boulevard, Ship Bottom from 2 - 4 pm and in the evening at Stafford Township Municipal Building, 260 East Bay Avenue, Manahawkin from 6 - 8 pm. A brief presentation will be given at 2:30 pm and at 6:30 pm, respectively. Special plans have already been developed to protect the public in the event of a nuclear incident in our area. These plans give specific attention to people who – like you – live, work or visit within 10 miles of a nuclear power plant. Procedures are in place to help protect you and other members of the public in the unlikely event of a nuclear emergency. If necessary, area officials would declare an emergency and take measures to ensure public safety. This pamphlet addresses procedures for the Oyster Creek area. Please read and keep this material for future reference. Although it specifically addresses a potential nuclear accident, much of the information is useful in any major emergency. Please read the entire brochure or have someone translate it for you. Discuss this information with members of your family, and then keep the brochure in a convenient place for future use. There are actions that should be taken before, during and after an event that are unique to each hazard. Identify the hazards that have happened or could happen in our area and plan for the unique actions for each. Ship Bottom Emergency Management identifies the hazards in our area and outlines the local plans and recommendations for each. Share the hazard-specific information with family members and include pertinent materials in your family disaster plan. Protecting property - Flood insurance is the best way to protect yourself from devastating financial loss. Find the flood risk for your property by using free tools available on the FEMA website. National preparedness is a shared responsibility, everyone has a role to play to ensure that our nation can address its greatest risks. 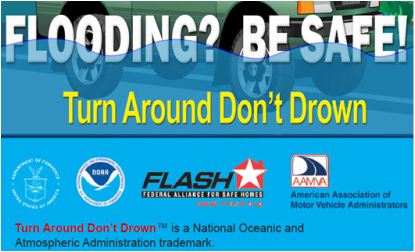 Find information on the FEMA website that will help the whole community. Receive Nixle alerts to your mobile phone and/or email. Important Note - The Emergency Management page is reserved for emergency community information and does not replace, Emergency Radio Broadcasts, Audible Sirens, Nixle, written or verbal Police or First Responder notifications or any real time notifications published or presented by the Borough of Ship Bottom. Please sign up for Nixle and Code Red alerts to receive immediate and direct mobile phone alert communications from the Borough of Ship Bottom.